NAVTEX is an international maritime radio telex system. For receiving navigational warnings and safety information on 518 KHz along coastal areas. 1. MSC.148(77) Adoption of the Revised Performance Standards for Narrow-brand Direct-printing Telegraph Equipment for the Reception of Navigational and Meteorological Warnings and Urgent Information to Ships(NAVTEX). 2. IEC 61097-6:2012 Narrow-brand Direct-printing Telegraph Equipment for The Reception of Navigational Warnings and Urgent Information to Ships(NAVTEX). 3. 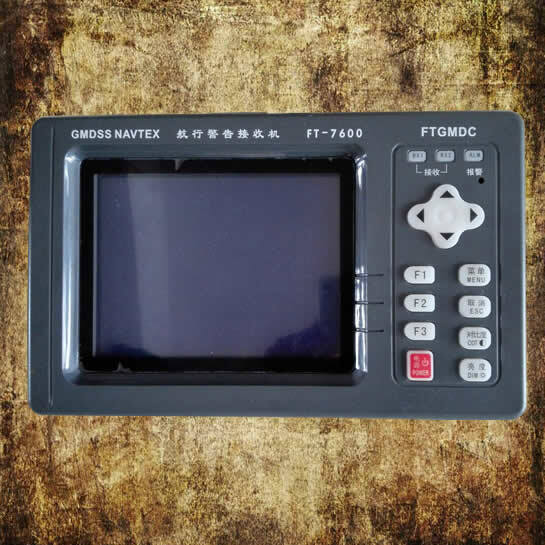 IMO A.694(17) General Requirements for Shipborne Radio Equipment Forming Part of The Global Maritime Distress ans Safety System (GMDSS) and for Electronic Navigational Aids. 4. IEC 60945:2002 Maritime Navigation and Radio Communication Equipment and Systems -General Requirements – Methods of Testing and Required Test Result. If error rate of received was more than 33%, will refuse to received the information. For example, two received error rate for the same information in a 4% -33%, save for the lower one. If information serial number B3B4 = 00, displayed and saved forever. General Information Alarm: Except received “D type information .